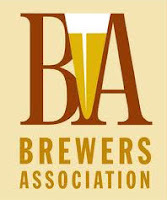 Boulder, CO • August 6, 2012 — The Brewers Association (BA), the trade association representing the majority of U.S. brewing companies, has released strong mid-year numbers for America’s small and independent craft brewers1. Dollar sales were up 14 percent in the first half of 2012, while volume of craft brewed beer sold jumped 12 percent during that same time period. - Volume share for craft brewing jumps 13 percent in 2011.